The article has been transcribed without any alteration. In the main the article describes the Church and as the article was written in 1792 it was before the �restoration� by Thomas Dickinson Hall. References are made in the text to �Thoroton�s time� or �Dr. Robert Thoroton�. Robert Thoroton was born in 1623 and died in 1678. He was the author of �The Antiquities of Nottinghamshire� which was published in 1677, from which the quotes are taken. The research for the book was carried out between 1662 and 1675, he almost certainly saw the Church before 1670. Some dates quoted as relative to the monarch�s reign i.e. 3 Edward II which means the 3rd year in the reign of Edward II = 1310. A number (if not all) of the monuments described in the text can still be seen in the Church (not necessarily in the same place mentioned in the text). We certainly know a lot more than the author but we do have the advantage of 200 years of further research. The town of Watton, or Whatton in the Vale, is situate in the hundred of Bingham, county Nottingham, two miles from the town which gives name to the hundred. A remarkable particular in the description is that besides a mill there was �molaria ubi molae fodiunt� which Dr. Thoroton renders as �marle-pits� where �marle was dug�. �In these parts,� says he �mold signifies fat earth, almost in power, fit to receive seed. There have been marle-pits at Whatton; but that husbandry hath been long disused hereabouts. There is only a thin, blue, shelly sort of stone, and perhaps there may have been plaster, like that of Paris, in this Lordship, which there is in divers near it�. Mr. Kelham, p. 276 explains it, a quarry where mill-stones are dug; and I find �molaria� in Charpentier�s �Supplement� to Du Cange, �locus, or lapicidina, unde molae extrahutur�; and �mola,� explained by the French �meule,� a mill-stone. At the Conquest, Watton (Watone) was the property of Gilbert e Gand, and under him held Robert, whose posterity assumed the name of the place. Sir William de Watton, lord here was a benefactor to Blyth Monastery. Adelina, daughter and heiress of Robert de Watton, gave the church of Whatton to Welbeck Abbey. From this family it came to that of Newmarche, who came in with the Conqueror. Adam de Newmarch, father and son, confirmed Adelina�s gift. This family became extinct in a daughter married to Sir William Gascoigne, in the reign of Henry VII. One of the Gascoignes sold this manor to Sir Thomas Stanhope, Knight, grandfather of Philip, first Earl of Chesterfield, whose grandson Philip, second earl, enjoyed it in Thoroton�s time. On the right side of his head five fusils in fess, which, in Thoroton�s time, were charged with as many escallops, being the arms of Aslacton; on the left a chevron between three cranes. Both these coats make part of the arms of Archbishop Cranmer, who was born in 1489, at Aslacton an adjoining village and curacy, whose chapel, dedicated to St. John of Beverley, being converted into a private house, the parish is united to Whatton. The manor came to his great grandfather Edmund by marriage with the heiress of the Aslactons, who held in from the reign of Henry II. It passed by an heiress of Cranmer, to Sir John Molyneux, Bart., who sold it to the Marquis of Dorchester, proprietor in Thoroton�s time, and is now, I believe, in the representative of the Duke of Kingston. Thomas Cranmer, to whom this monument was erected, may have been the father of the Archbishop, though I cannot find the time of his death in history. The font is octagonal, adorned with a rose, tulip, fleur-de-lis, etc., on a shaft of the same, on which is a blank shield and date 1662. In the north wall of the north aisle are two arches, on empty; under the other a priest in curled hair, his head on a double cushion. In the middle of this aisle, on a raised tomb, is a cross-legged mail, and a pointed helmet of the same, his head reclined on a double cushion to the right, his hands elevated; on his shield a bend between six crosses botone, charged with only one bezant; over his mail a fur coat, falling back at the crossing of his legs; his sword at his left side. His right leg crosses his left; his upper rowels have no circle; histhighs, legs, and feet are in mail, but his knees bare; at his feet a lion, whose tail curls on his back. The tradition of the village calls this Philip or Richard de Watton. Dr. Thorton says: �Sir Richard de Whatton lies buried in the church under a well-cut stome tomb, whereon is his portraiture, with his shield, having arms embossed upon it, which the windows also show to be: Argent, on a bend sable, between six cross crosslets gules, three bezants. His name on the side, where yet some gilding is visible.� This Sir Richard was living 3 Edward II. The only arms that remain in the windows of this aisle are in the east window, Azure, 5 lozenges gules. In the south wall is a double piscine. The top and bottom of two niches are to be seen over the figure of the priest; under the bottoms are carved David playing on his harp, and an angle holding a shield was an inclined cross. Between them is the bust of a woman. By the priest has been a door, now stopped. The east end of the south aisle is converted into a school-house. In the middle of it is an altar-tom and figure of alabaster. On the sides of the tomb these coats, six on a side, and one at each end. A fees and label of three points. A lion rampant between cinqfoils. Five lozenges in Fess � Newman. A chevron under a label of 3 points. At the west end a lozenge, and at the east end 5 lozenges in fess. One gone; two in Thoroton�s time. A fess between three cinqfoils. Three cross botone fitche, a chief. On a chief three stars. The knight on this tomb s in mail close to his face; his helmet, pointed, has a frontlet of oak leaves, and on it, in black letter, �Adoramus te Xpe,� on the left side, and on the right, �Ave Maria.� At the joining of the frontlet, s griffin, sitting on a wheel. The figure has whiskers, a collar of SS. Buckled thrice in front, mail at his arm pits and on the hollow of his arms, gauntlets with the knuckle part raised; his belt is sprinkled with butterflies, a flowing fringe to his coat of mail; on his breast 5 lozenges in fess, hilt remaining at his right-hand; a lion at his feet looking up. Tradition gives this to one of the Newmarches. In the south wall of this school-house a flowered arch terminating in a bouquet and surmounted by purfled finials; but only rubbish under it. It probably covered another of the same family, who might have chosen this for their burial-place. It is not improbable that the alabaster figure represents Thomas de Newmarche, who had free warren granted here by Edward II., and a market and fair in this lordship, 12 Edward III. The chancel is quite plain, fitted up with modern seats and desks. The style of the church bespeaks it of the reign of one of the Edwards. The east window of the north aisle chapel is of a rich quatrefoil pattern. The north window is fine, as is another of the north aisle. The north porch rests on clustered columns with ring capitals. Two north windows of the chancel are lancet-fashion, and a third of two bays. Its south windows are rich. The south porch is of stone. Quarterly, a lion rampant in a border engrailed azure. Sable, a chevron between ten cross crosslets, azure. Gules, a lion rampant azure, crowned or. 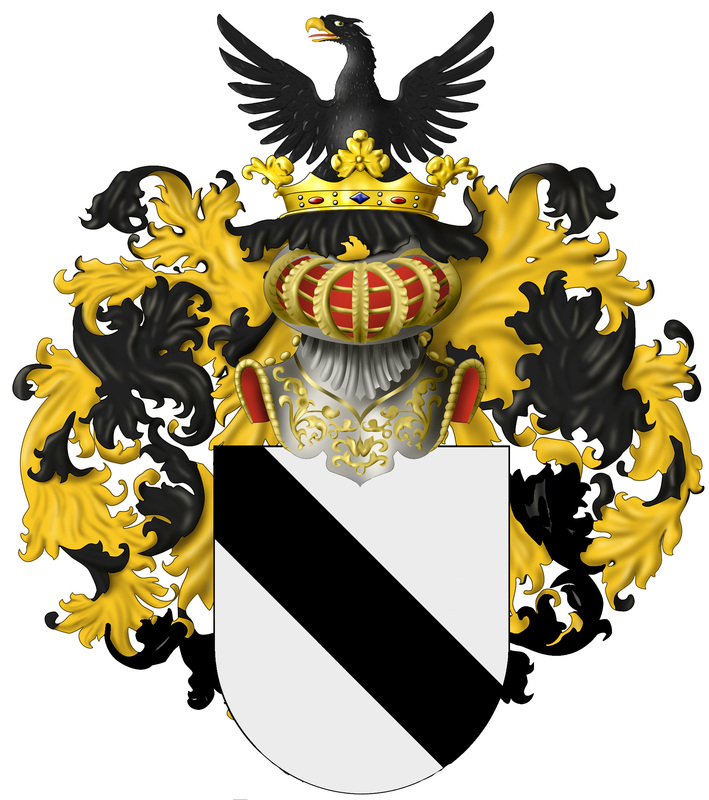 Crest: an eagle�s head between wings sable, coming out of crown azure. 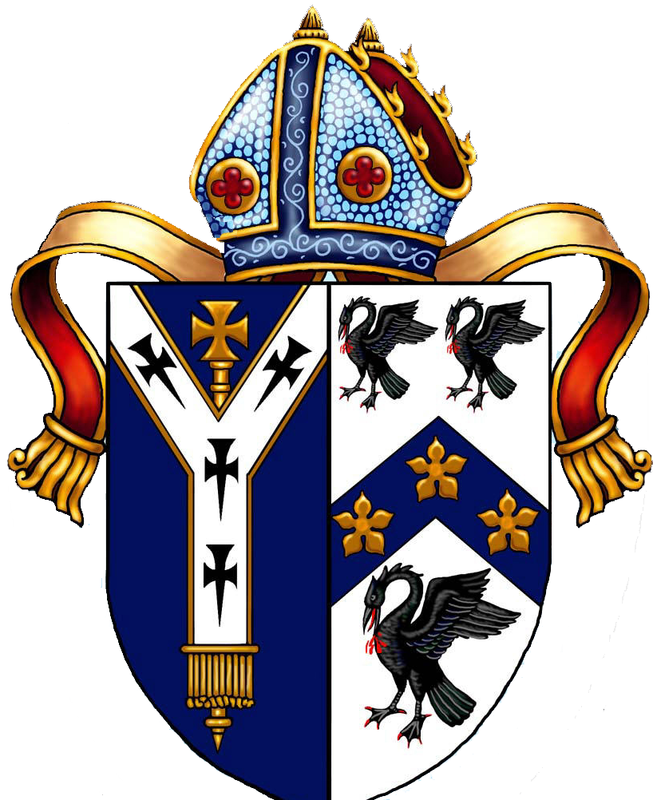 The living is a vicarage in the diocese of York, valued in the King�s Books at �5 6s 8d. ; to the archbishop 6s. ; to the archdeacon 7s. 6d. The manse and glebe worth per annum 10s. in tithes of wool, lamb, cattle, geese, chicken etc. It was appropriated by Galfridus, Archbishop of York, to the abbey of St. James at Welbeck, saving always a competency for the vicar that should minister, viz., a third part. The patron was, 1725, William Shipman, Esq. ; in 163 and 1781 John Hewett, Esq. ; present patron, 1792, Richard Foljambe, Esq. He presented Mr. Newsam, July, 1790, who on being presented to the vicarage of Richmond, in Yorkshire, 1792, quitted this place, but did not resign the living, which is served by the neighbouring clergy, as it suits them. The curacy of Aslacton, which belonged also to Welbeck Abbey, is united to it, and together valued at �100 per annum. Here is a neat small vicarage house to the north-east out of the churchyard.